Clearance sale on solid pink golf shorts, called Old English Rose. 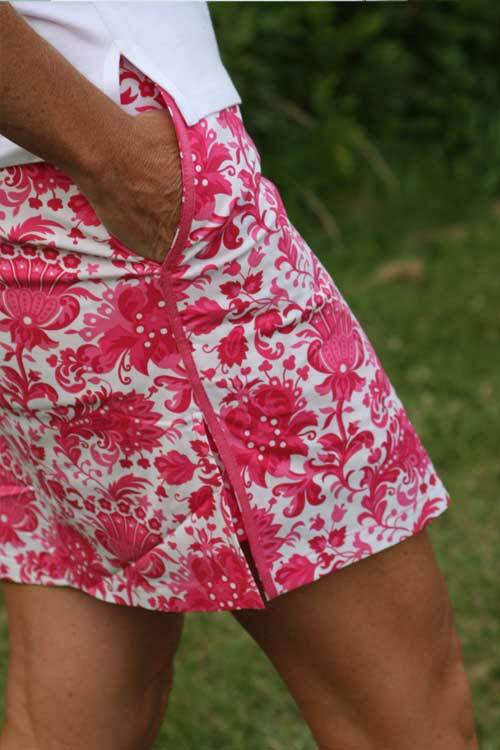 These shorts by Ian Poulter are hugely popular. This tailored style has back welt pockets with decorative notch detail, stylish flat front design, textured embroidered IJP logo, side panel details, IJP belt loop. Teflon coated fabric which protects against water and oil based spills. Superior wicking and moisture management which reduces persperations and dries rapidly. Stretch with recovery performance for excellent comfort. The perfect Golf apparel. About Ian Poulter & IJP Design The ethos behind IJP Design and the IJP logo is to create high quality, unique, funky and distinctive apparel that fuses functionality with fashion, letting you reflect your own personality and style. For each seasonal collection, three different coloured tartans are woven in Scotland and Northern England. The famous Poulter tartan bootleg trousers and shorts are the pillars of each collection that the range is then designed around. Golftini Skort with pink and red fashion print available for same day shipping in sizes 0-16. This Pink, red, and white floral pattern designer skort by Golftini is is the most comfortable skort you’ll ever own.Â Plus it looks great both on and off the golf course! The Flat Front Style has 2 Super Deep side pockets and 1 back pocket. Sits about 1.5 inches below the natural waist. Looks great with White or hot pink polos, fashion tops and 3/4″ length logo sweaters. Skort Fabric- 97% cotton / 3% spandex. MSRP $136. The Exclusively designed Golftini Fabric fits great and can be Machine Washed in cold water or dry cleaned. About CEOgolfshop.com:Â offers golf apparel, corporate apparel and golf accessories with optional imprinting/personalization, typically not found in other channels. The company targets executives, discriminating apparel shoppers, tournament directors, and marketing directors. Online store http://my.ceogolfshop.com. CEOgolfshop offers the entire line of Golftini apparel for both retail and wholesale buyers. Golf Skort in Hot Pink Geometric pattern by Golftini available in sizes Sizes 0-16 for immediate shipping. Fashion, function and fit have finally come together in the best designer golf skort.Â Ships same day or next business day. We’ve got enough stock to outfit your entire foursome. Great outfit to wear on and off the course. Perfect colors for any breast cancer awareness event. CEOgolfshop.com has been an active supporter of children’s charities since inception, and also makes donations to several breast cancer related fundraising events annually. If you’re outfitting your team in pink from CEOgolfshop.com for a breast cancer related event, send us your official event donation request form and let’s see how we can help you. The concept of Golftini is to do the same thing for golf attire that New York City restaurants have done for the ultra modernized Martini. Golftini started out with the perfect black skort–one that can be worn on and off the course. The brand fits well, and is both fun and fashionable. 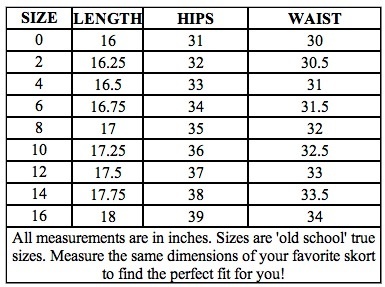 Shoppers can rely on product quality and accuracy of the size chart for a proper fit. Ian Poulter post win interview. Great close up of the textured rib v neck jumper. We reported on the marshmallow pink apparel yesterday, offered for immediate shipment on CEOgolfshop.com. Feb 21, 2010 Ian Poulter wins the Match Play Championship for his first victory in America, winning the Walter Hagen Cup. Walter Hagen was also known for his snappy attire. Ian lead over the final 28 holes for a 4-and-2 victory. ESPN has a great video recap and a good look at the entire Ian Poulter designed outfit as well. Ian Poulter wins Match Play video. Textured Rib V Neck Jumper , $110. Ian wears the Marshmallow pink jumper for the win.